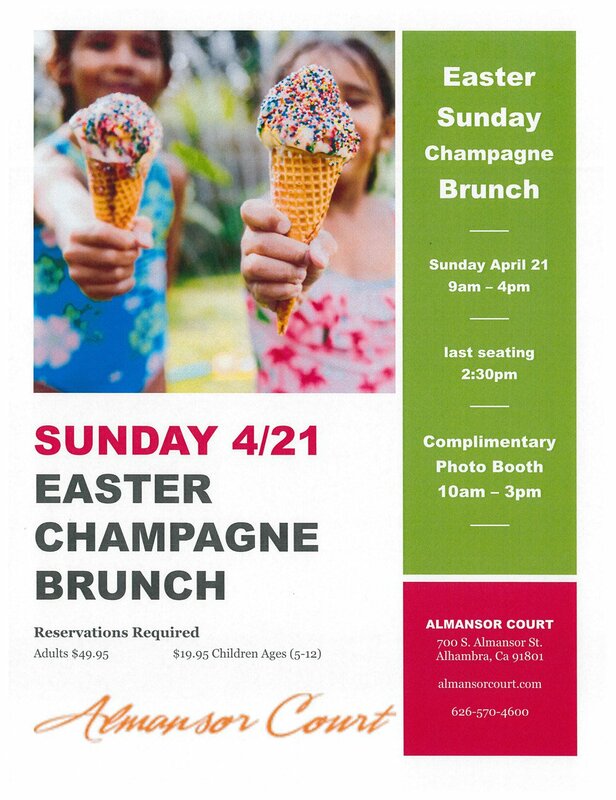 Featuring our traditional Sunday Brunch plus a few extra surprises, spend your Easter with your family at Almansor Court overlooking Alhambra Golf Course and Lake. Enjoy the Easter Bunny complete with children’s gifts and a complimentary Photo Booth. Parties of All Sizes Welcome!